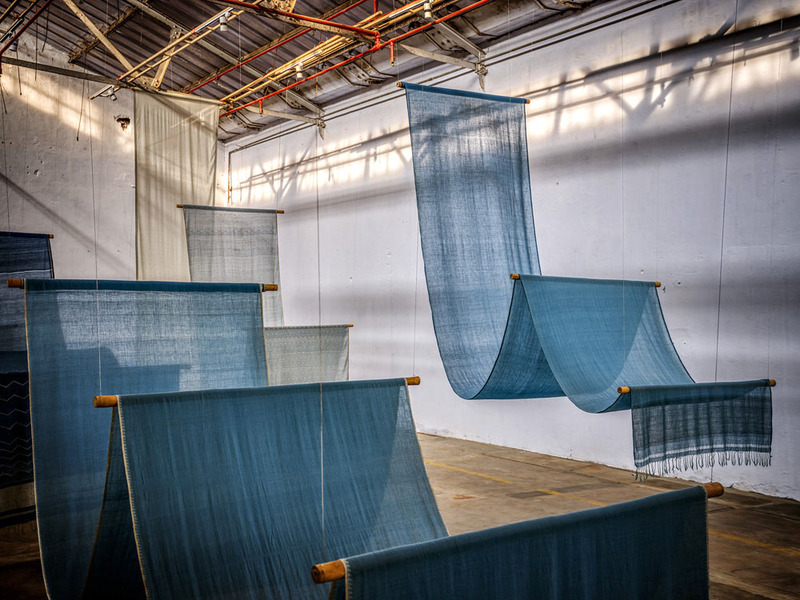 Exploring the idea of taking Khadi beyond its political boundaries in India as a deeper part of its culture, Meanings, Metaphor – Handspun and Handwoven in the 21st Century, is an exhibition organised by the Bangalore-based, The Registry of Sarees (TRS), a textile study and research centre. 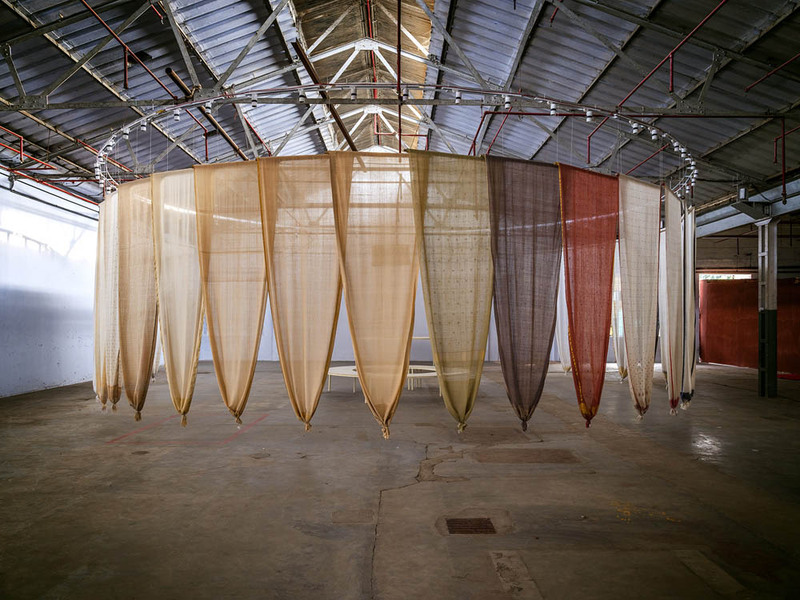 Displayed at the iconic 125-year-old Lakshmi Mills in Coimbatore, Tamil Nadu, it features 108 Khadi sarees and fabric swatches, which were first commissioned for Khadi – The Fabric of Freedom, a series of exhibitions curated by the late Martand Singh in the ’00s. 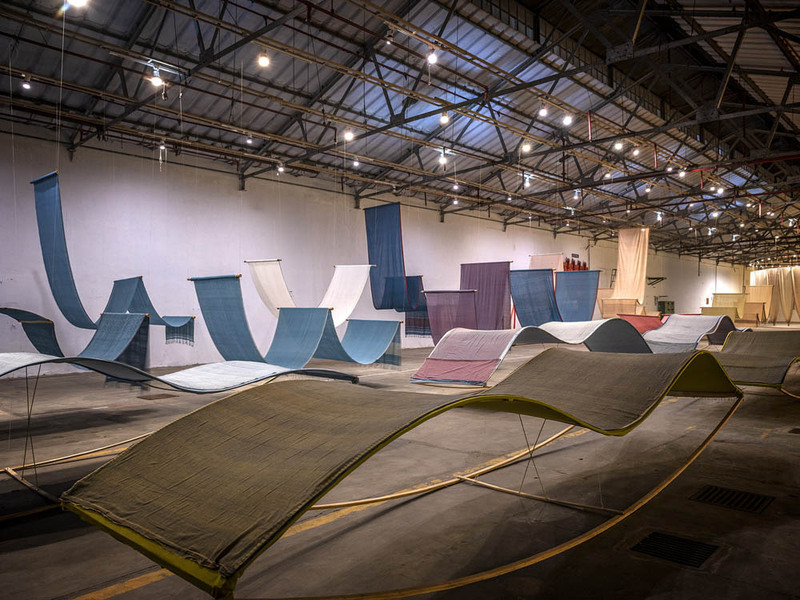 We speak to TRS’s Ahalya Matthan and the exhibition’s curator, Mayank Mansingh Kaul about the textile centre, the exhibition and its relevance today. Since its inception in 2016, how has the journey for The Registry of Sarees (TRS) been? Ahalya Matthan (AM): TRS was started with the aim of helping textile enthusiasts advance their understanding of various traditions of sarees, beyond what was available at a superficial level in popular media and the internet, and which at the same time could be more accessible than academic writings and projects in the field. In its first year, we presented almost a dozen talks and workshops, on subjects such as the Benarasis to Parsi Garas. Over the last two years, we have evolved the mandate of such small-scale events to curated exhibitions. Towards this, we are acquiring collections of Indian textiles with a focus on sarees, which could be available for researchers and designers. 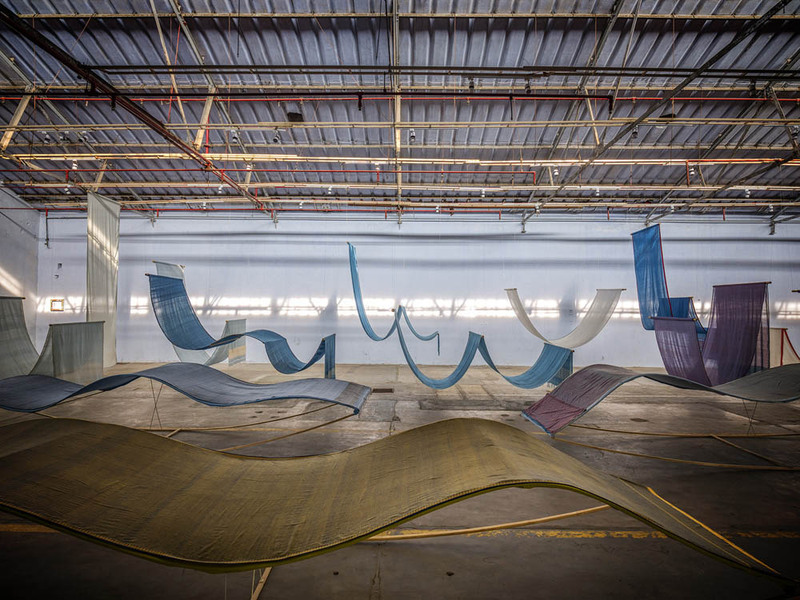 In particular, we are keen that curated exhibitions and textile projects which are presently largely hosted in cities such as Mumbai and Delhi, are able to travel to cities in southern India. As a means of creating a self-revenue generating model to support the organisation’s projects, which we are keen to primarily keep educational in nature. What was the idea behind presenting this exhibition? AM: The collection of hand-spun and hand-woven cotton textiles which is being presented in the exhibition was acquired by TRS last year. It was originally conceived and commissioned in 2000 by the late textile expert Martand Singh (Mapu) for Khadi – The Fabric of Freedom, to reflect on the state of hand-spun and hand-woven fabrics in India at the turn of the millennium. Mayank, who has been involved in helping us develop a mandate for the TRS’s public projects felt that such a collection, if revived today, almost two decades since it was first presented could help us revive an interest in the hand-spun today. Mayank Mansingh Kaul (MMK): Parts of the collection have travelled last year to Tokyo in Japan and to Chirala, a town in Andhra Pradesh with a large handloom weaver population. In Japan, it was presented by the legendary designer Issey Miyake, and in the context of a country which is one of the largest markets for hand-spun and hand-woven cotton fabric from India. In Chirala, it was a part of a landmark conference on handloom technologies and was visited by almost 4000 weavers…one is constantly finding new and relevant ways to present the exhibition. A friend of ours in Coimbatore, Mr Ravi Sam, invited us to consider the venue of Lakshmi Mills in the city. When Ahalya and I saw the space, we instantly felt that it would be good to present handmade textiles in a context which is synonymous with mill-produced cloth as it could help us understand whether such handlooms have appreciation today and inspire mill-workers and handloom weavers alike. From all the handloom collections available, what prompted you to choose from Martand Singh’s? AM: I would like to think that the collection chose us. After being in storage for almost fifteen years, it was offered to TRS to help make it accessible to the public, as well as for research. What are some of the most ingenious pieces from it and why? MMK: The collection includes 108 different qualities and textures of fabrics which were sourced from nine states of India, and 108 sarees which were designed by the textile designer Mr Rakesh Thakore and handwoven in Andhra Pradesh and West Bengal. Each fabric and saree are distinct. I am particularly drawn to the fabrics which are made with local and indigenous varieties of cotton, such as the naturally-coloured red cotton, also known as erapatti in Andhra Pradesh. 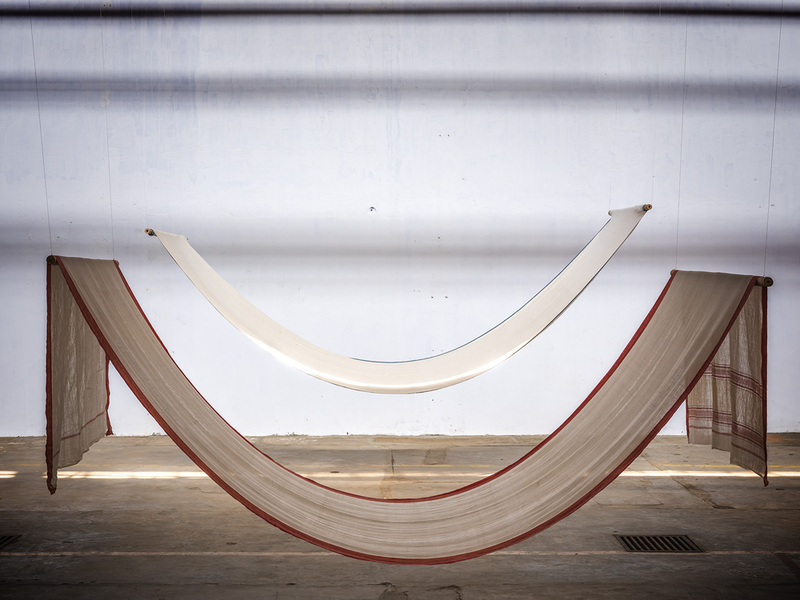 AM: I am also drawn to the erapattis, especially those which are woven with muga silk. The sarees which are indigo dyed also make for a unique directory of the various shades possible, from the lightest to the darkest. In way do you feel that this exhibition contributes to the current discourse on handloom textiles, especially today when power looms are ubiquitously used? MMK: In the last century, when mechanised production has produced a staggering variety of fabrics, even creating qualities which can be worn for travel in outer space, it has not been able to replicate the textures and feel of hand-spun and hand-woven. In today’s environment when a bulk of handlooms are led by surface and design innovation, the textiles in the exhibition are a reminder that innovation in handmade yarn can offer immense creative possibilities which no machine can offer. It takes the viewers to the base fabric itself, and to appreciate its inherent material characteristics. AM: The exhibition in Coimbatore is presented in an entirely urban context, whereas in Chirala the context was relatively more rural. In both, it is able to suggest that the handmade can co-exist with the machine-made, rather than these both modes of manufacture being seen in opposition to each other. For me, it is important to comment on the very need for such learning-oriented formats of engaging with handmade textiles, in an ecology where these are otherwise mostly seen in retail or sales-oriented formats, or in inaccessible museums. What are some of the most important takeaways one can obtain from the exhibition? AM: We have had very diverse sets of responses in the two exhibitions so far. In Chirala, since so many weavers were addressed through the exhibition, it was heartening to see that their belief in what the hand can do was reinforced by seeing the quality of the exhibited textiles. In Coimbatore, many of the viewers are disappointed that they cannot buy the exhibited textiles, and this is the first time a learning-based exhibition has been presented here. So, we feel that TRS is helping build audiences for narratives which help people understand the stories behind textiles. 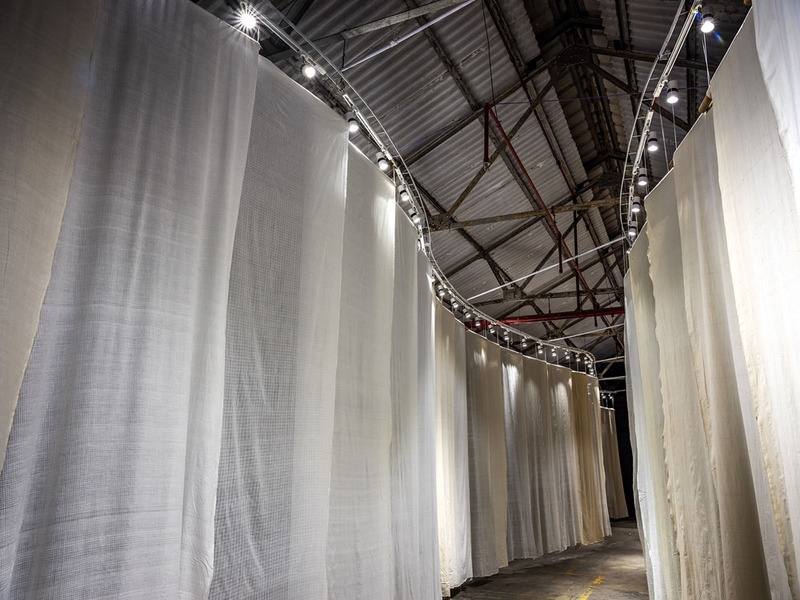 MMK: The focus on the base textures of fabrics which I have spoken of earlier, allows us to rethink the idea of hand-spun and hand-woven for its material qualities, beyond its associations with Gandhi and the freedom movement, where it was used as a political and economic symbol and tool. Further, the exhibition has tried to present an experience of Indian textiles which is free flowing, reflecting how fabrics are used and in movement. This challenges the contemporary preoccupation with importing West-centric ideas of how exhibitions are designed, and which are often stiff, referencing museum formats where textiles are shown as dead and non-performative. What’s next on the cards for TRS? AM: The next project is also being developed with Mayank. It furthers our interest in understanding Indian textiles as extensions of its diverse processes of cultural amalgamation and assimilation. MMK: It hopes to look at the evolution of sarees from the late 19th century onwards, connecting this with where they stand today; and will at the same time try and place these within broader traditions of unstitched and draped garments in the Indian subcontinent. Mayank has been working with sarees for a long time. How has his perception about them evolved over time, if it has? MMK: The next project by the TRS is my first major public project on sarees. I am interested in how their appeal has endured over a very large period of time, and their evolution reflects the changing socio-cultural, economic and aesthetic values of the country.